I love holiday sweets and treats (maybe even a little too much). I am a sucker for packaging as well. 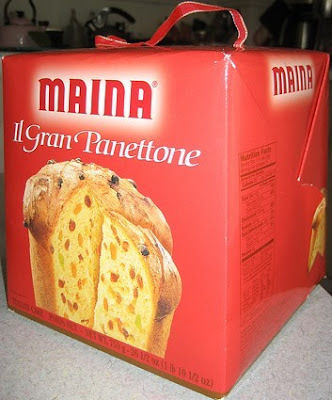 I wish there were more things available throughout the year that came in cute packages like Panettone does at Christmas time. Who can argue a great sweet bread treat that comes in its own carrying case with a ribbon on top in which to carry it by? 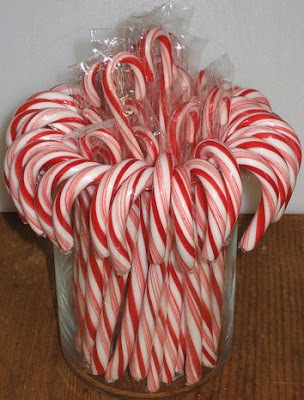 I also have a soft spot for peppermint. Candy canes, peppermint ice cream, peppermint mocha, peppermint bark, you name it, peppermint can do no wrong this time of year. I think my fondest memory of peppermint is sitting at Church with my Mom on Sunday mornings and she always seemed to have starlight mints in her purse. I got a whiff of them each time my Mom would exhale, they always smelled so good, but I didn't really enjoy the taste as a child. So maybe peppermint is more of an adult thing, I am not sure, but I do love it.